BOTTOM LINE: The Houston Astros will host the Cleveland Indians in Game 1 of the ALDS on Friday. 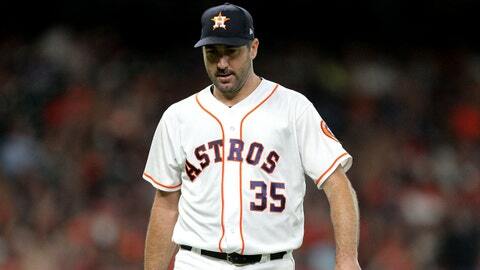 Houston gives up 1.9 runs per game when Verlander starts. The Indians have gone 21-12 in Kluber’s starts this year. Cleveland is hitting .259 as a team this year, Michael Brantley’s mark of .309 leads the team. Jose Ramirez helped the Indians earn a 10-9 win when these two teams last met on May 27. He went 2-for-6 with two RBIs. TOP PERFORMERS: Ramirez is batting .274 with a .377 on-base percentage and .559 slugging percentage in 156 games this season for the Indians. Francisco Lindor has 10 hits and is batting .222 over his past 10 games for Cleveland. Alex Bregman has 31 home runs and 103 RBIs in 156 games for the Astros. Yuli Gurriel has three home runs and 11 RBIs while slugging .707 over his past 10 games for Houston. LAST 10 GAMES: Indians: 6-4, .293 batting average, 3.77 ERA, outscored opponents by 14 runs. Astros: 8-2, .248 batting average, 2.56 ERA, outscored opponents by 21 runs.